Developed for all hair types, it cleans the hair fibers gently while promoting antioxidant action. 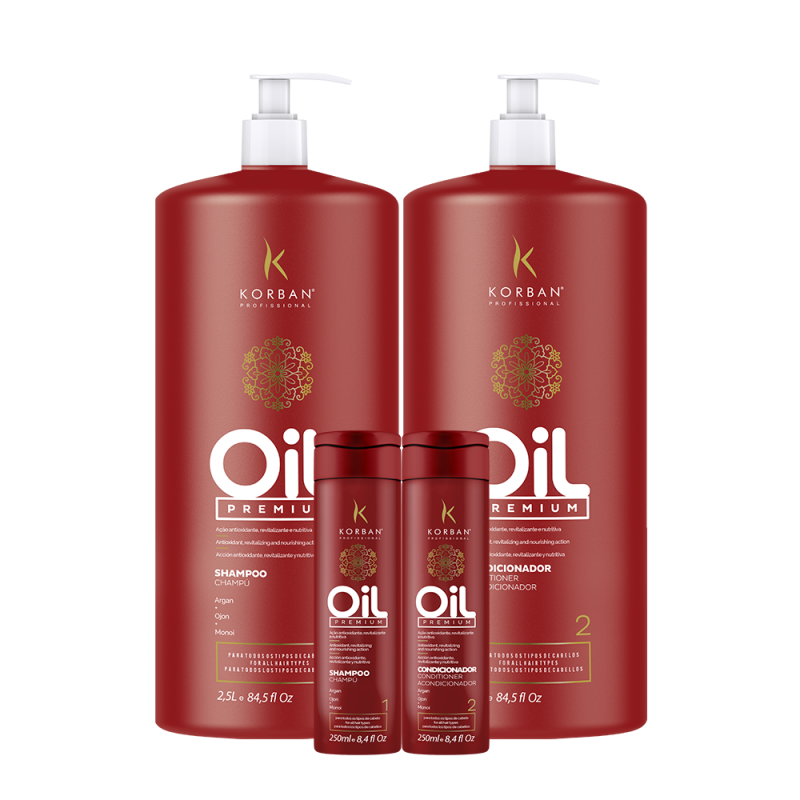 Made with Argan, Ojon and Monoi, it has a revitalizing and nourishing action for the strands, promoting clean, healthier softer hair with a renewed shine. Developed for all hair types, conditions the wires, making them light and loose. Prepared with Argan, Ojon and Monoi, it has antioxidant, revitalizing, nourishing, emollient and moisturizing action. It aligns the strands and facilitates loosening, resulting in soft, silky and glossy hair. Apply on wet hair and wash the first time slightly to remove any residues that prevent foaming. Rinse and reapply the shampoo by massaging the scalp gently until it forms a rich, creamy foam. Slide the foam to the ends. Rinse and condition. Apply on clean and moist hair, strand to strand, massaging gently. Leave on for a few minutes and rinse.